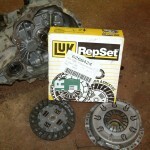 Clutch Master are your local friendly Garage specialising in BMW Clutch Replacement, maintenance and Clutch repairs. 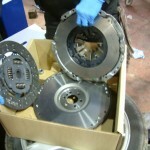 We offer competitive prices on all BMW clutches by passing our suppliers discount on to you, along with our expert technical knowledge of dealing with all types of cars including modern complex clutch systems. We cover from Exeter to Plymouth & all the areas surrounding & in between Exeter, Newton Abbot, Churchston, Paignton, Brixham, Totnes, Plymouth. For all your BMW Clutch Replacement Quotes Please Contact us on Telephone 01803 862152 Or Complete our online form below for a Instant Clutch Replacement Quotation.